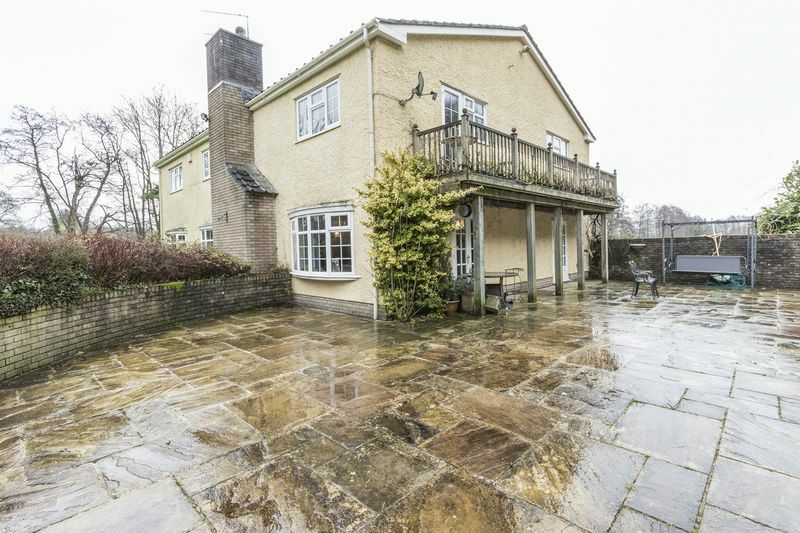 **ONE OF A KIND PROPERTY SET IN LARGE GROUNDS**NO CHAIN**CAERLEON SCHOOL CATCHMENT**THREE RECEPTION ROOMS**LOG BURNER**FIVE DOUBLE BEDROOMS INCLUDING A BALCONY ON MASTER BEDROOM**TWO EN SUITES AND BATHROOM**KITCHEN BREAKFAST ROOM**HEATED SWIMMING POOL**PADDOCK AND STABLES**QUADRUPLE GARAGE** Pinkmove are delighted to offer this superb opportunity to acquire a detached house set in a rural location with far reaching rural views from every aspect. 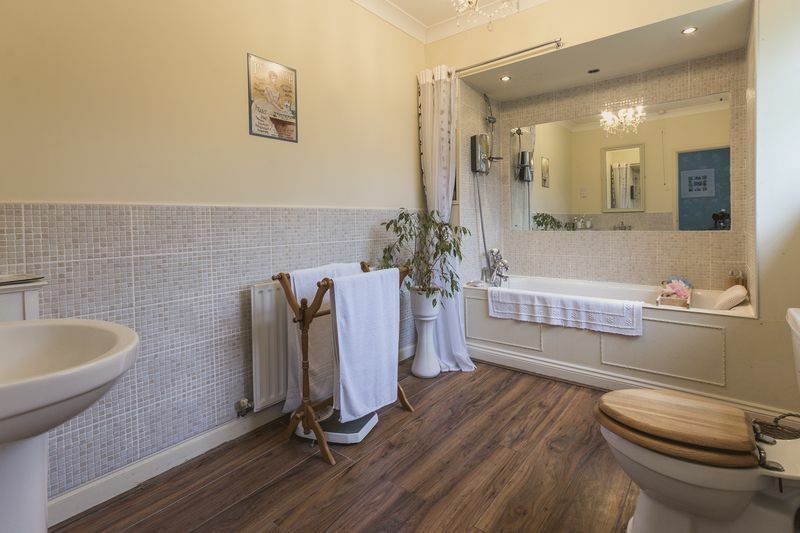 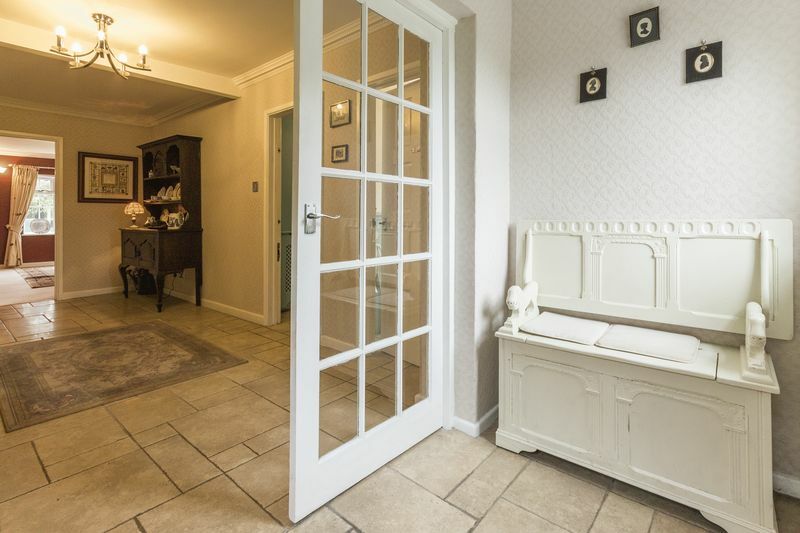 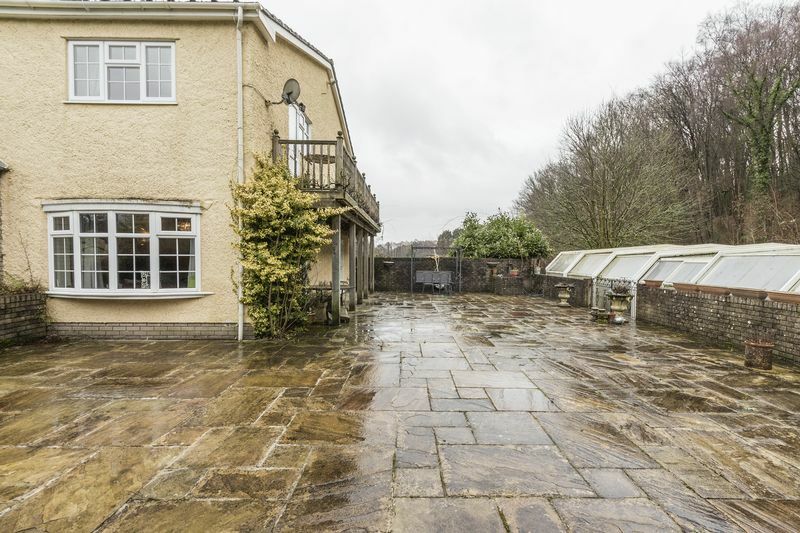 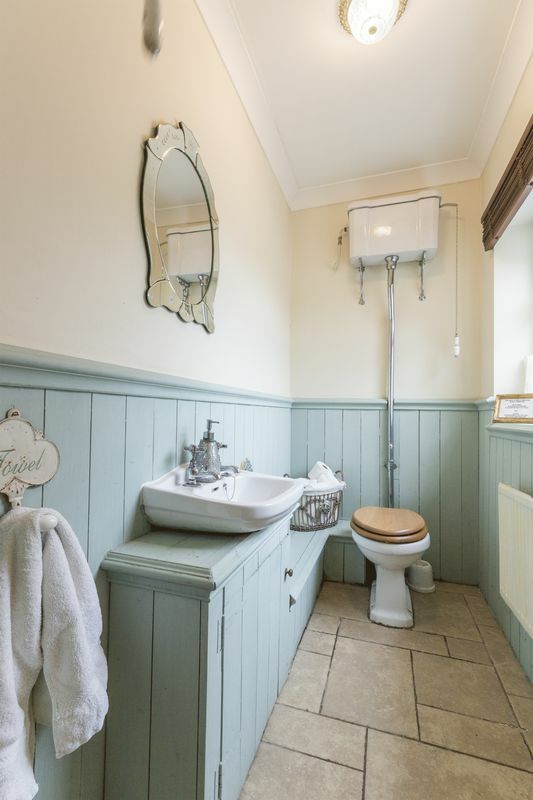 The house has excellent transport links with easy access onto the M4 for commuting into Bristol or Cardiff, is a short distance from the well know Roman village of Caerleon, benefitting from local amenities, eateries and well-regarded local schools. 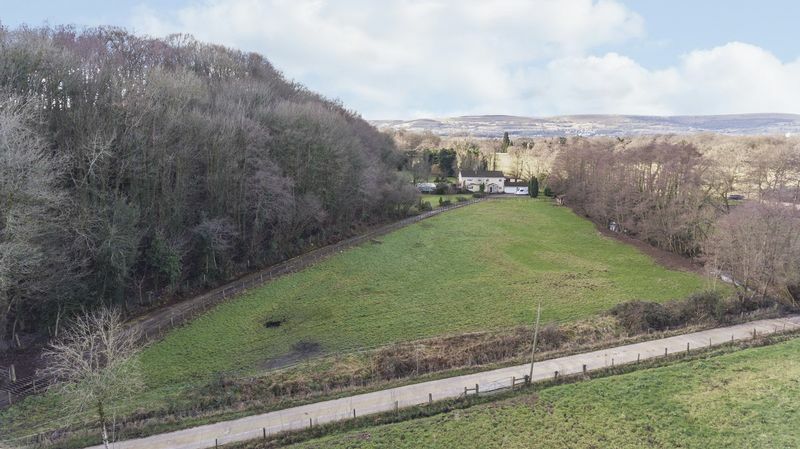 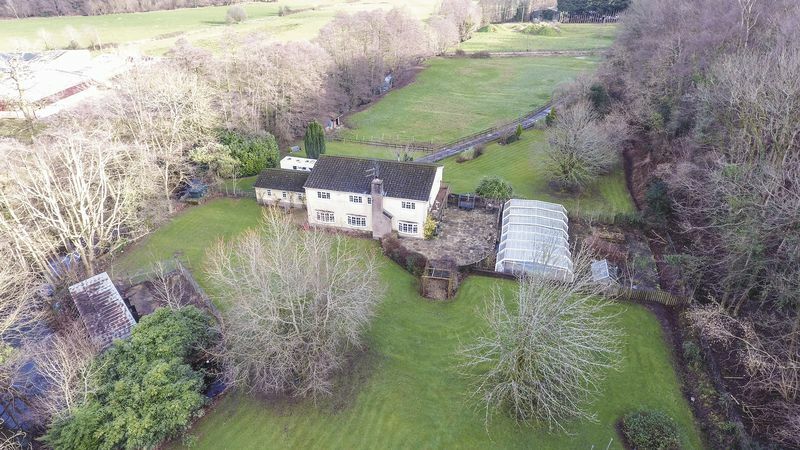 The property is also well located to the independent Rougemont School which is a short drive away, and it is also a few minutes drive to the new critical care hospital that is currently under construction in Llanfrecha, which opens in 2021. 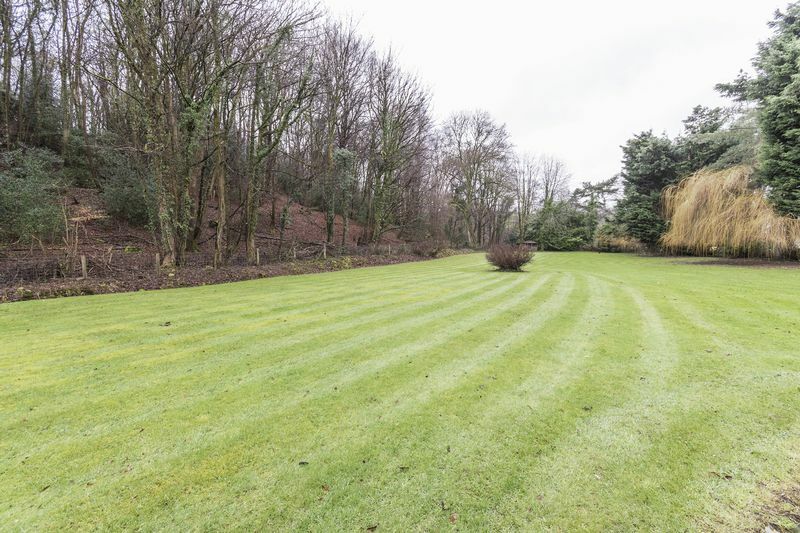 The Celtic Manor Resort and Ryder Cup Golf Course is also within a ten minute drive to the property. 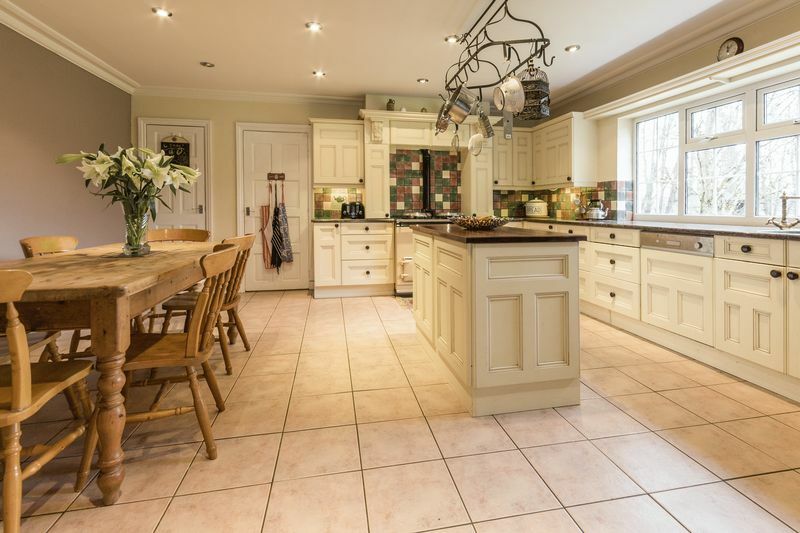 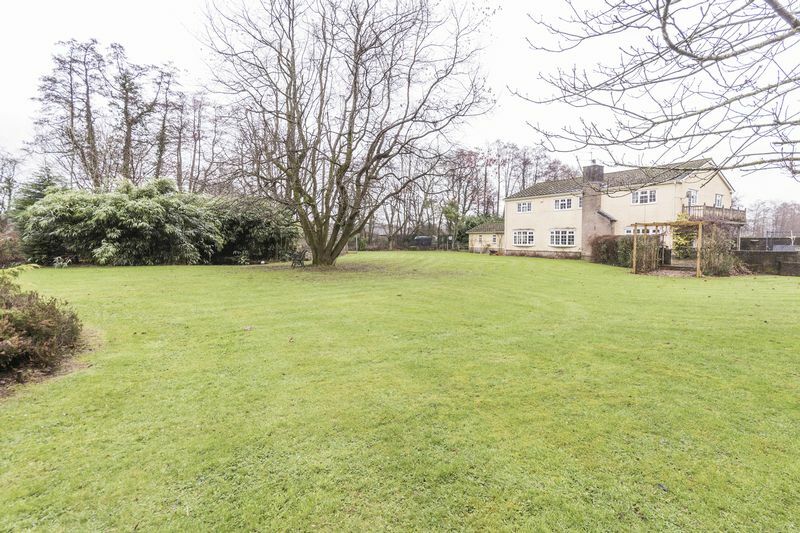 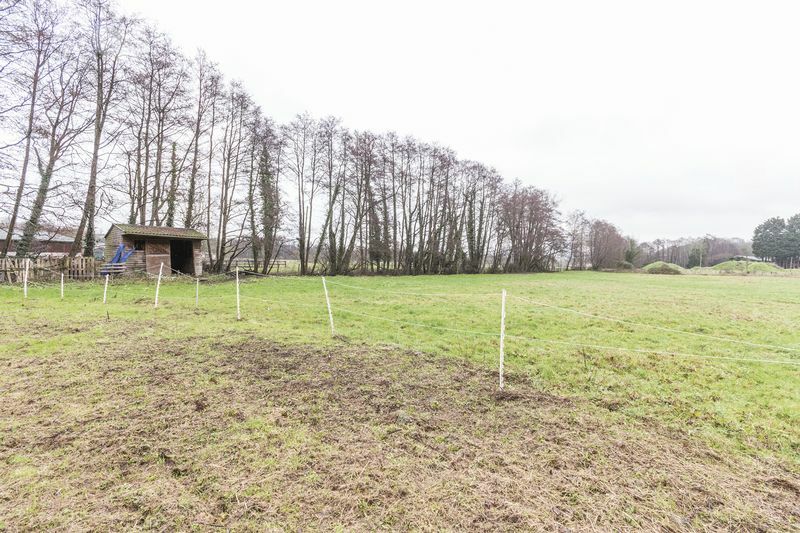 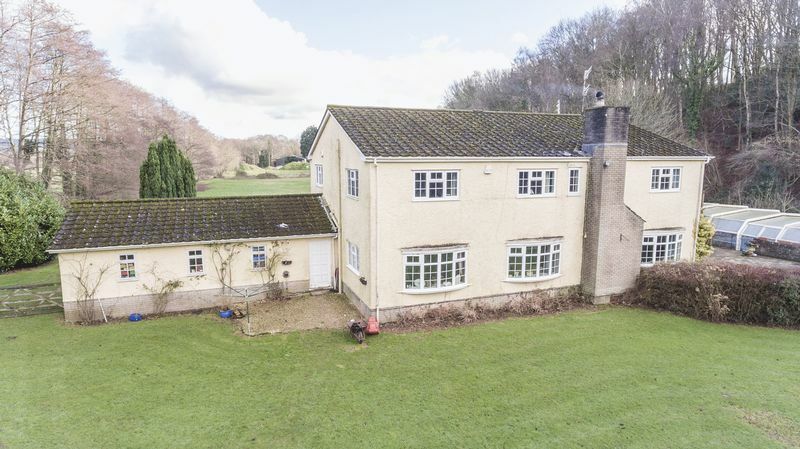 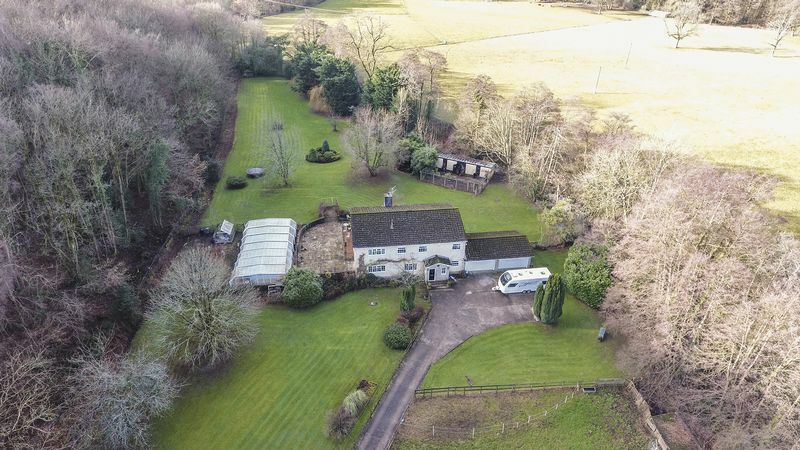 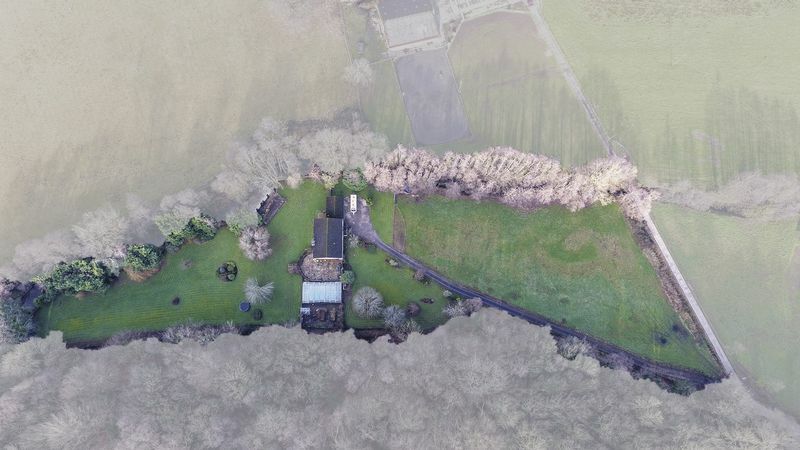 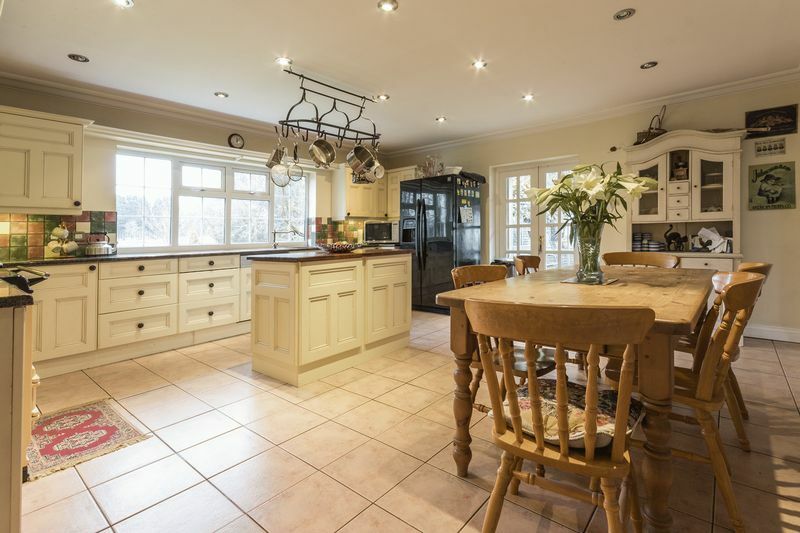 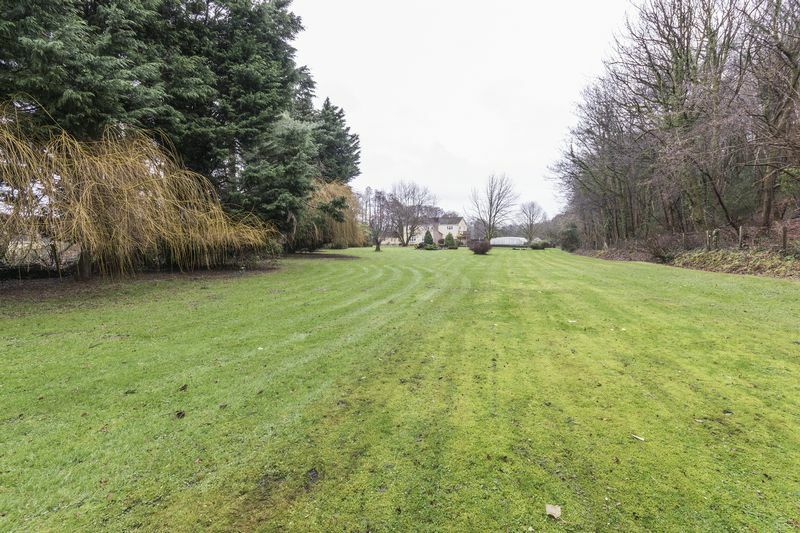 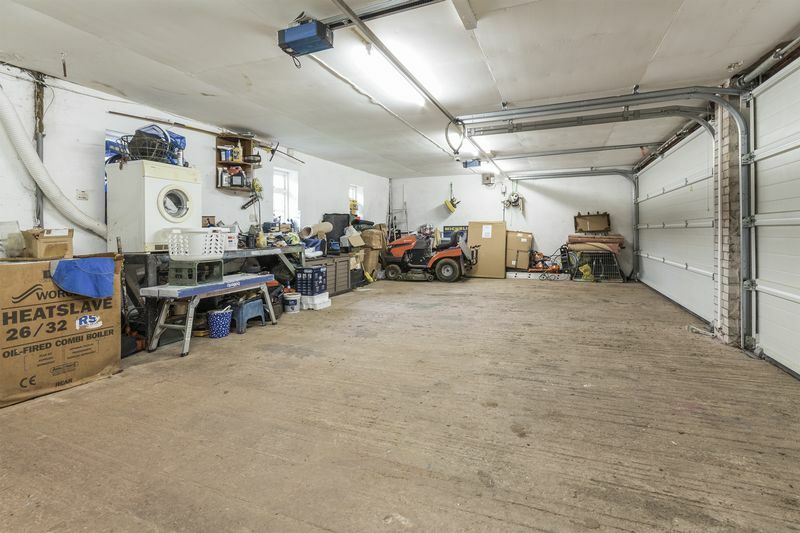 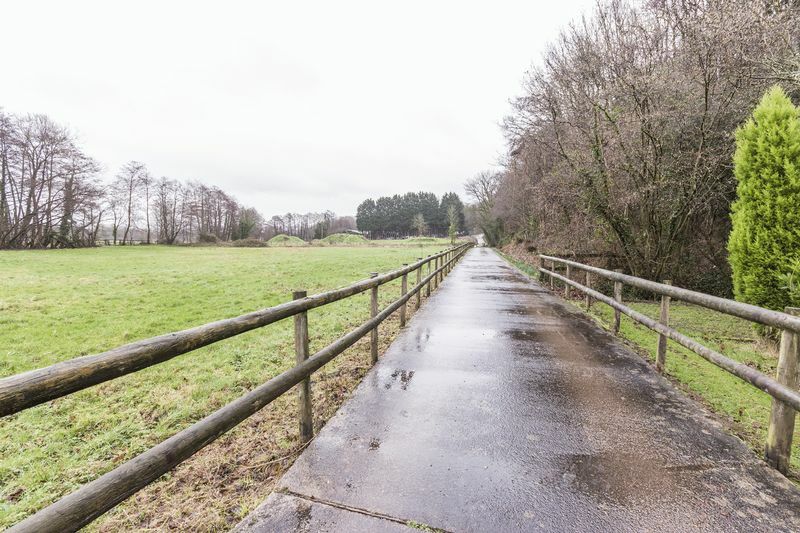 This property also benefits from equestrian facilities and lies in approx 3.8 acres of land, it has plenty of potential. 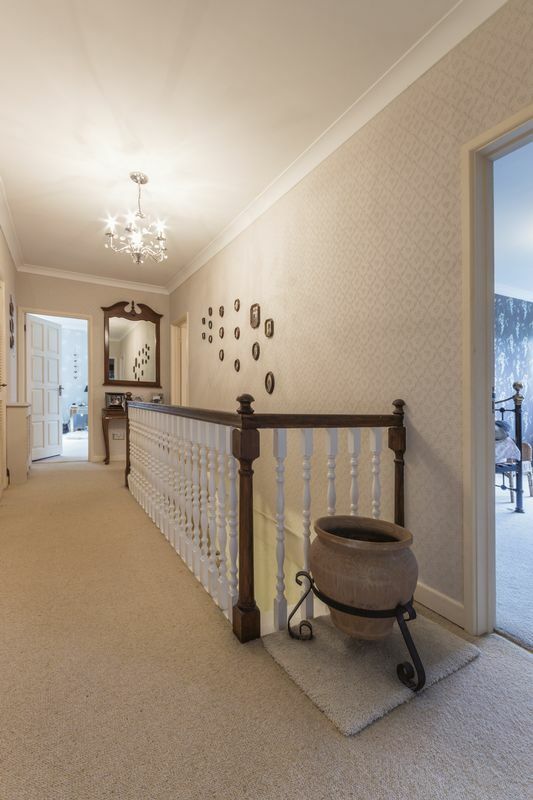 The property is reached via a long-gated driveway, bordering the drive is a paddock on the right-hand side, this paddock also has a stable, and on the left-hand side of the drive is a lawn with mature flower beds. 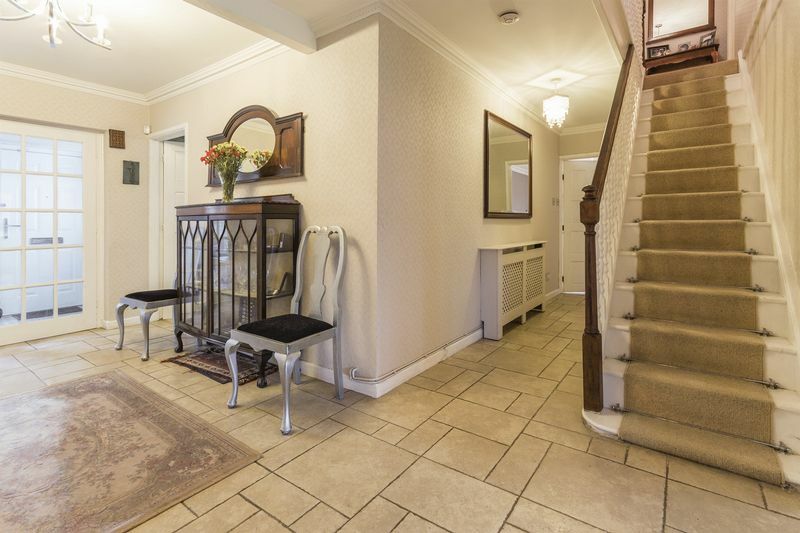 Entering the house the entrance porch is a good size, with room for a seating area, double doors open into the main hallway. 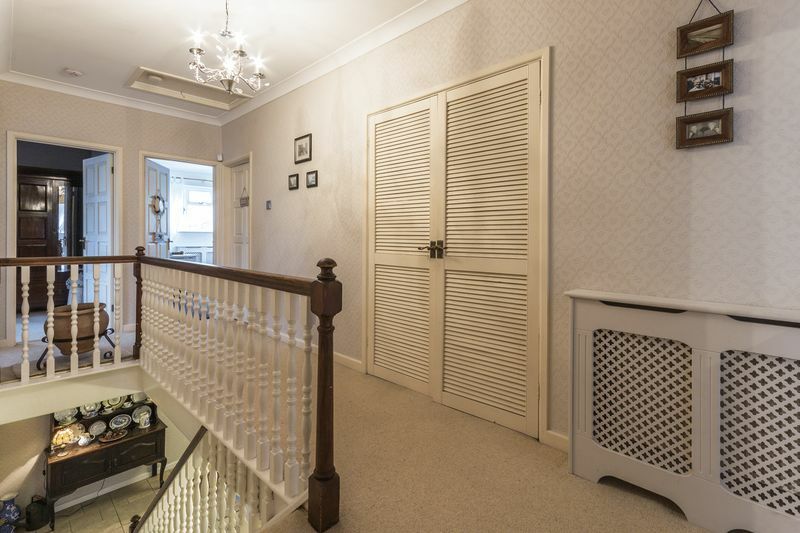 From here there is access to all the downstairs rooms and the stairs up to the first floor. 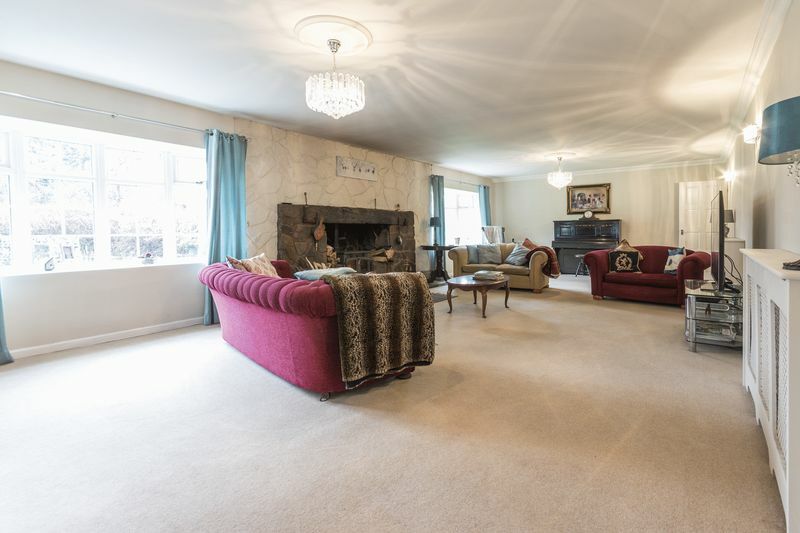 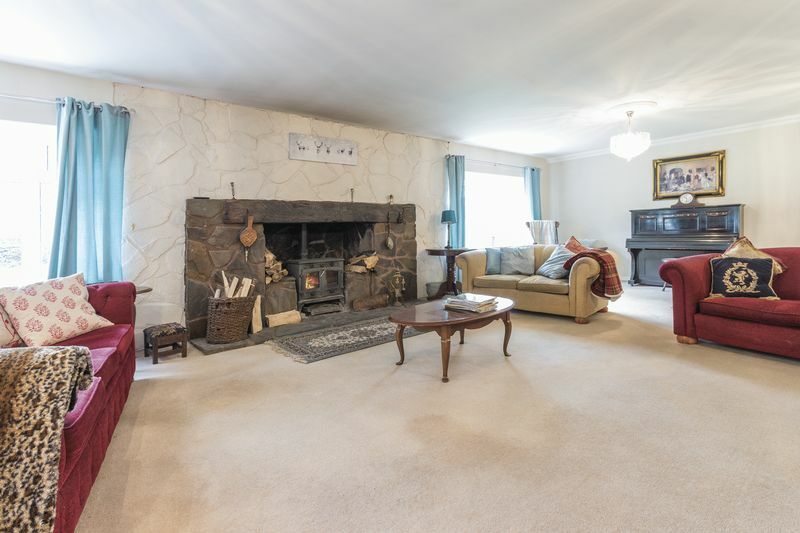 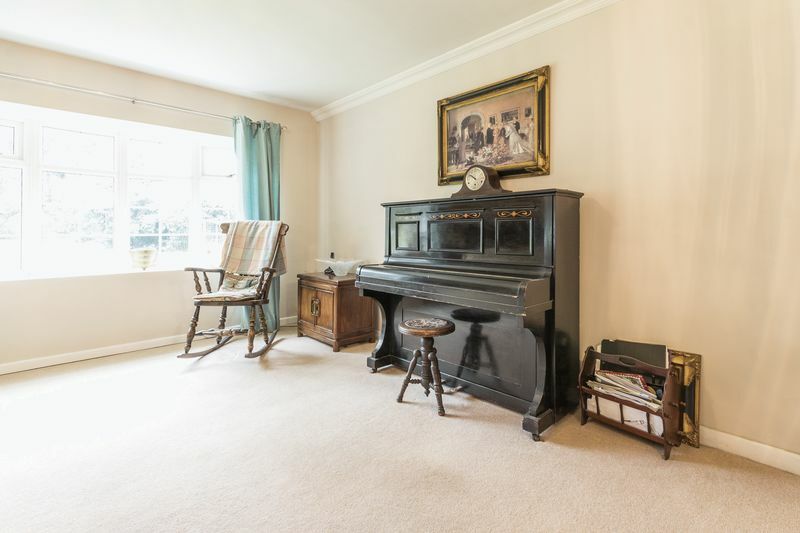 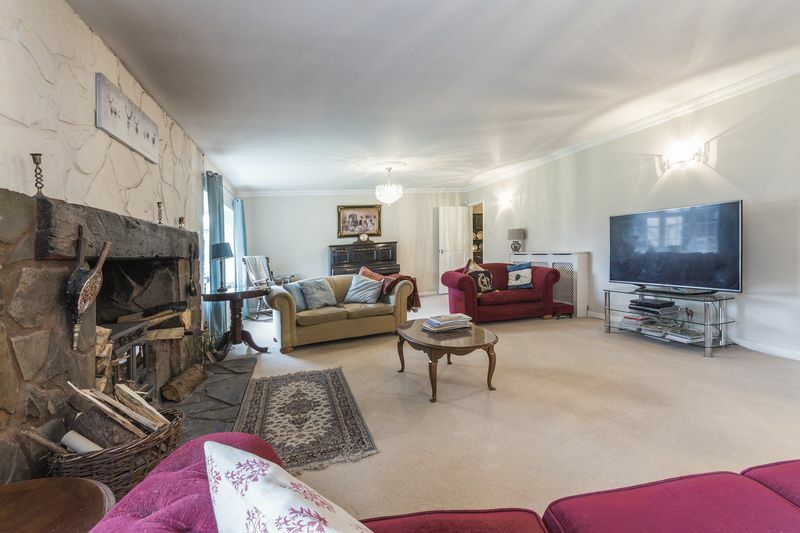 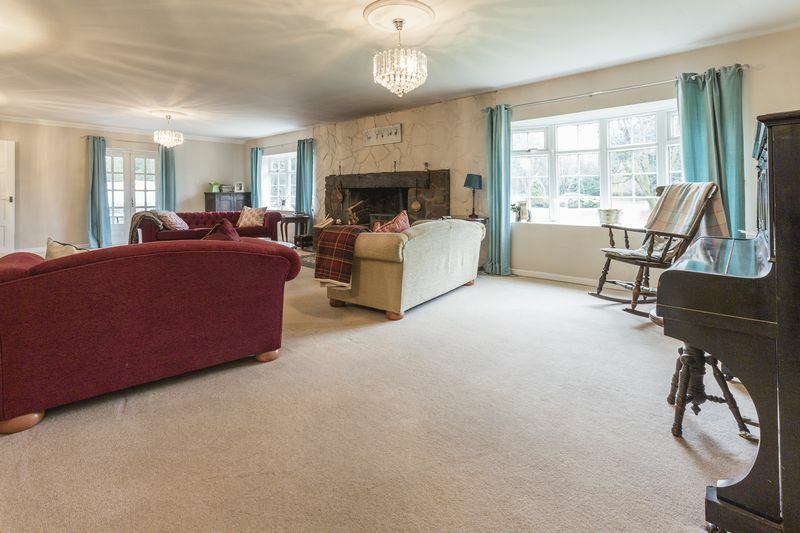 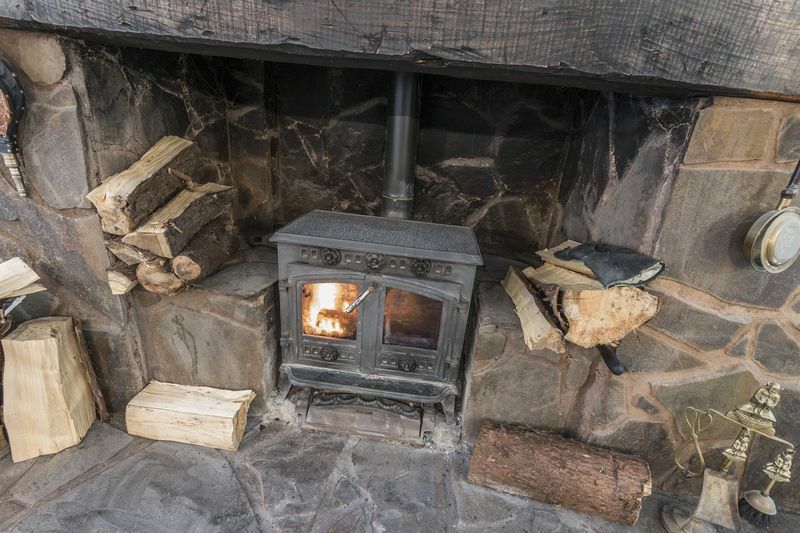 The property has the benefit of three large reception rooms, with the impressive living room reaching over 10 meters in length and it benefits from a stone fireplace, timber mantle and a log burner. 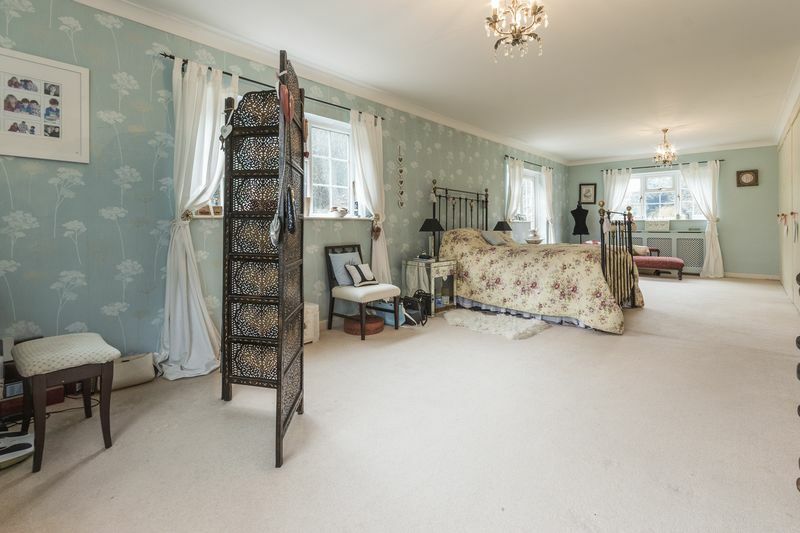 It is also very light due to the numerous windows and the French doors that open onto the terrace. 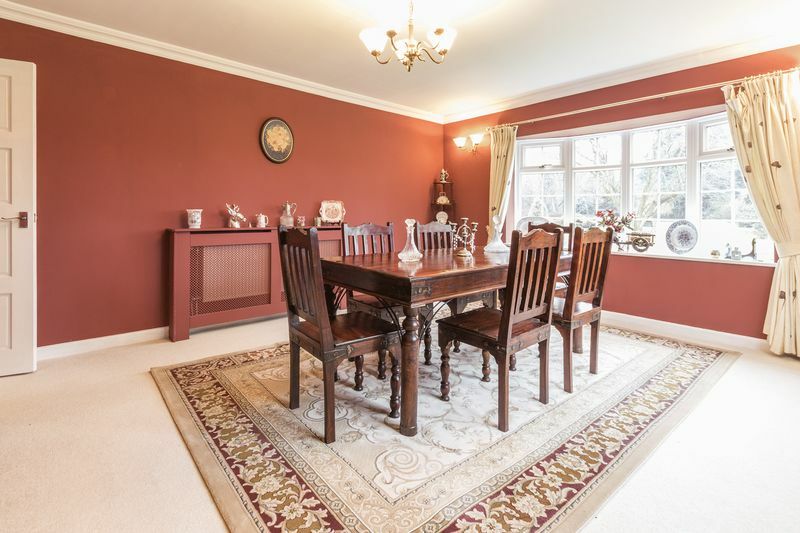 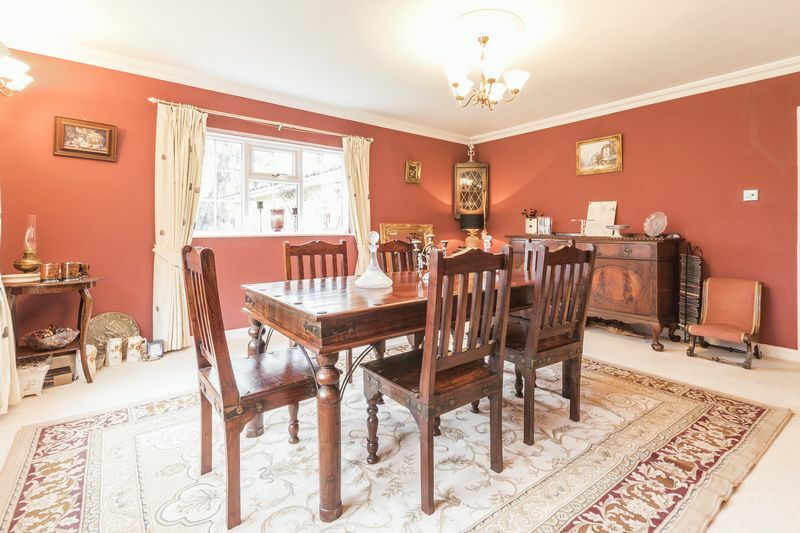 The dining room is a generous size with space for a large dining table and chairs, a perfect space for entertaining, and is well lit with two bay windows that let in plenty of light. 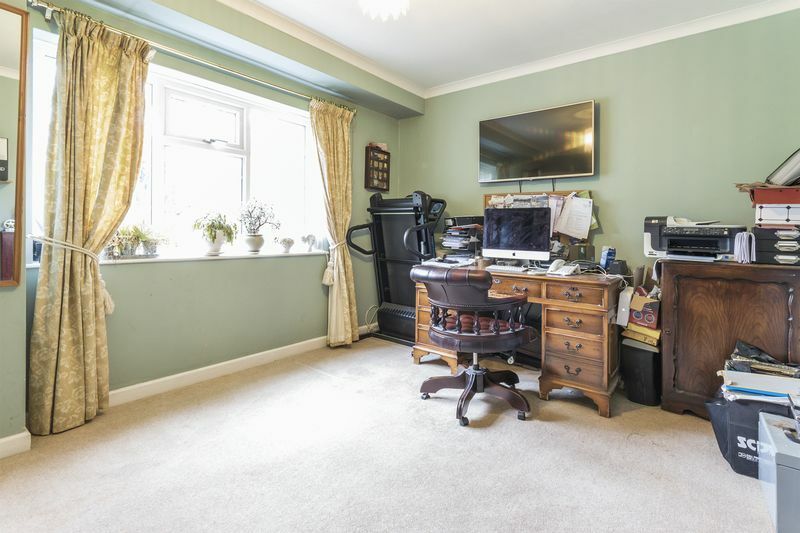 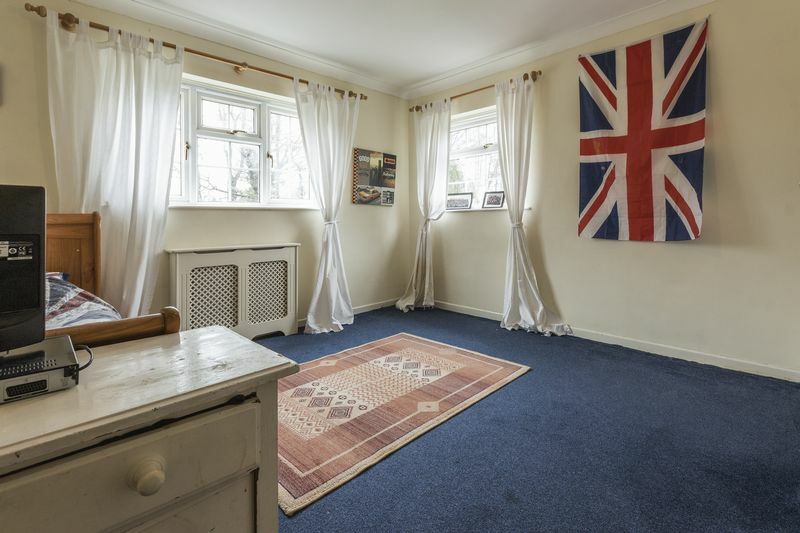 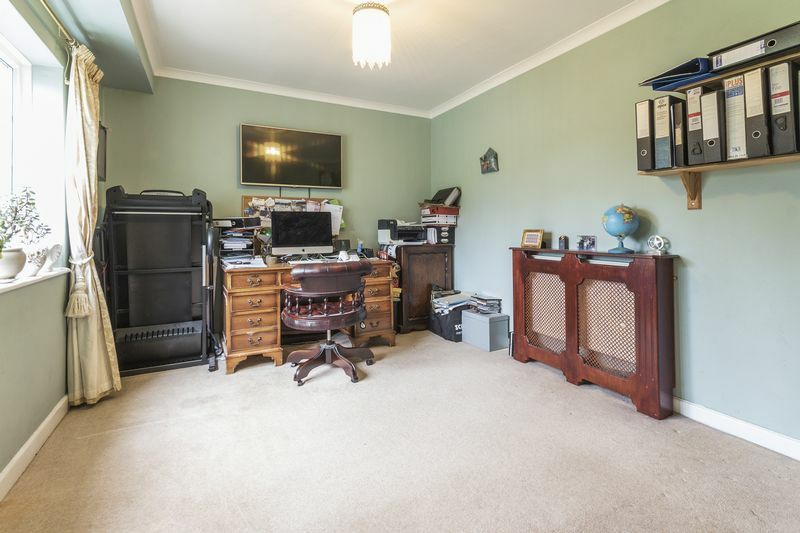 The study is also a generous size with ample room for all the required office furniture, with views over the front garden. 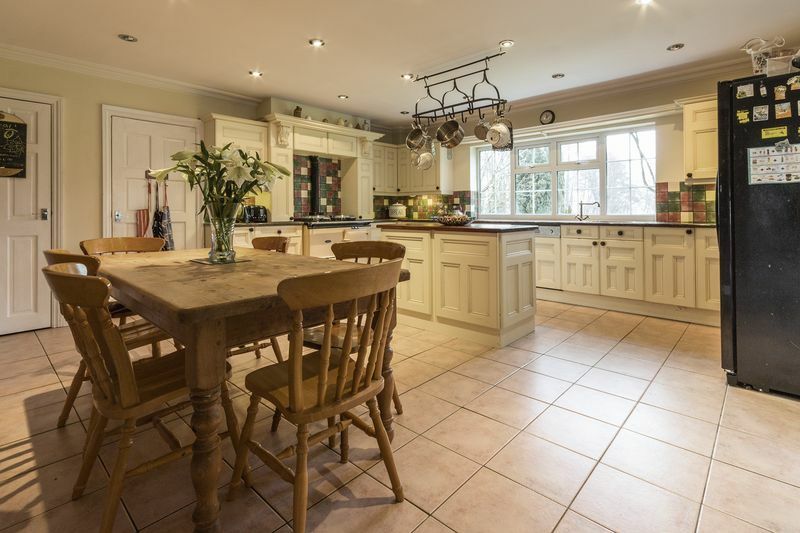 The kitchen breakfast room is a large room with ample wall and floor storage units as well as the benefit of a central island. 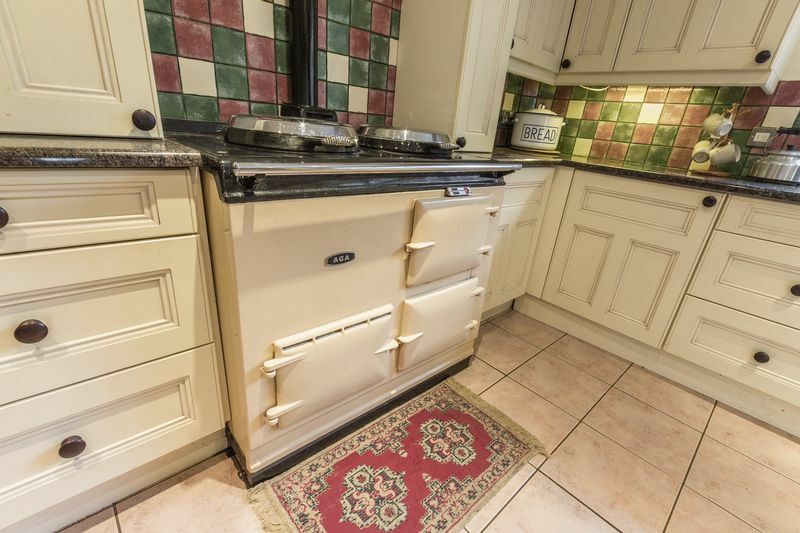 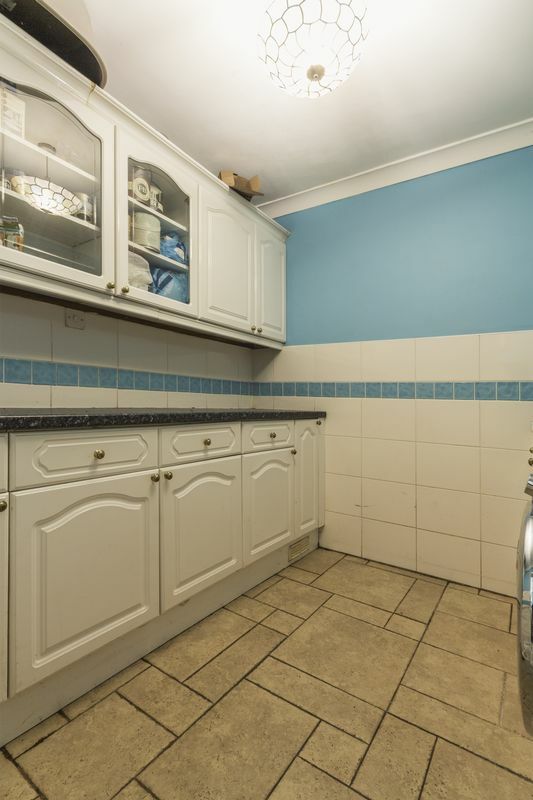 There is an integrated dishwasher, Aga and room for any other freestanding appliances. 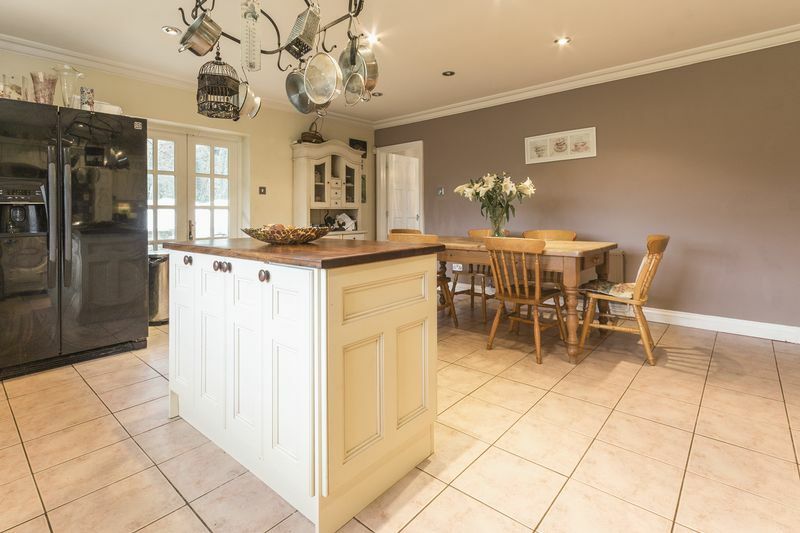 There is enough room for a large table and chairs and French doors open out onto the terrace. 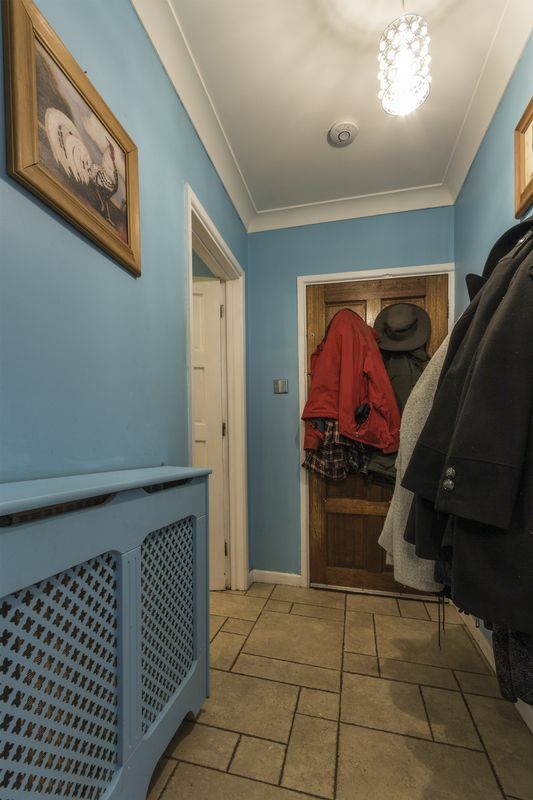 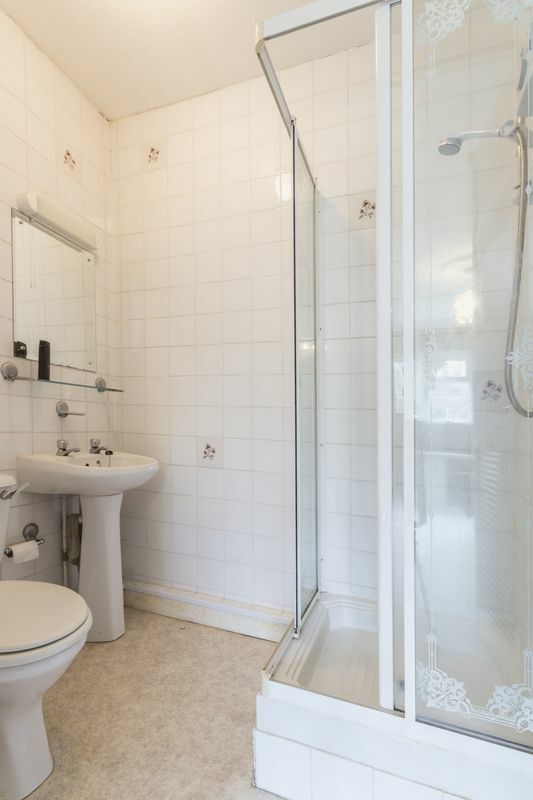 Downstairs there is also a large utility room, downstairs W.C. as well as access into the large garage. 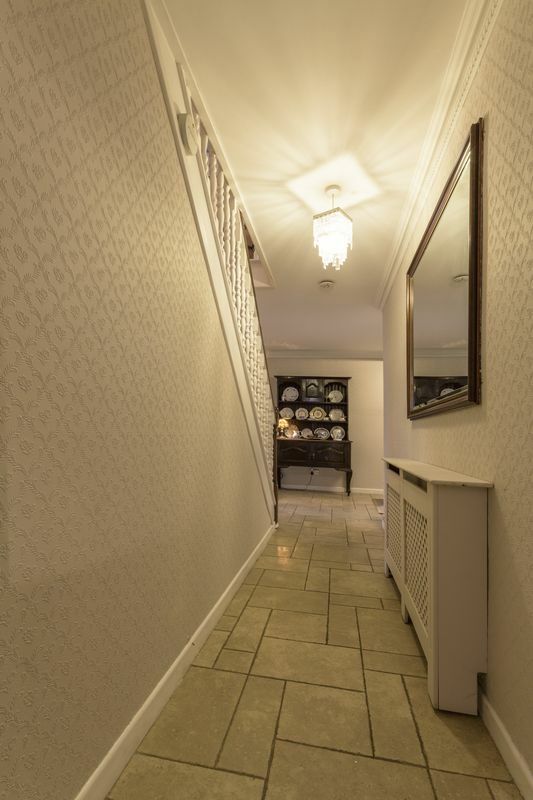 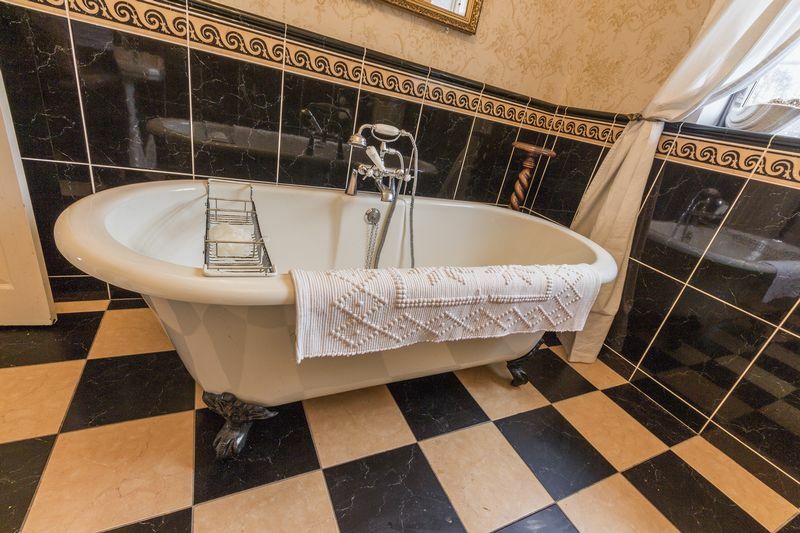 On the first floor there are five bedrooms, all of which are spacious double rooms. 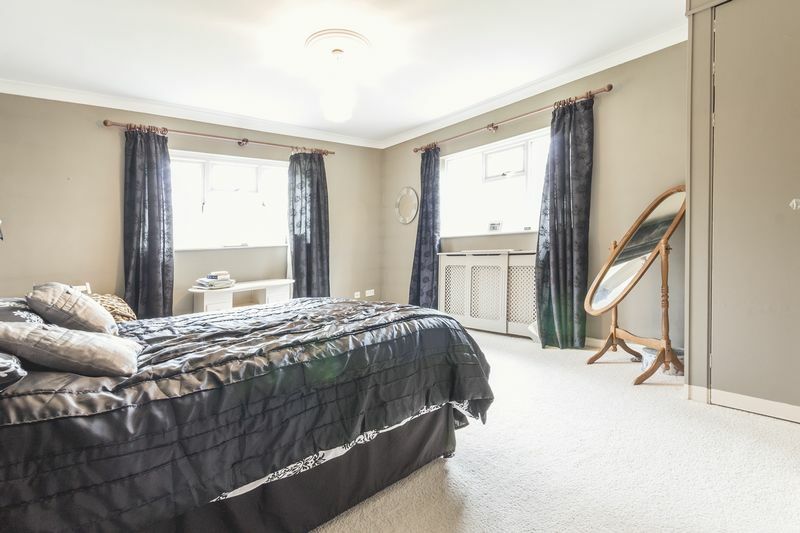 The master bedroom benefits from a wall of built in wardrobes as well as a large en suite bathroom, as well as access onto the balcony for views over the gardens, swimming pool and terrace. 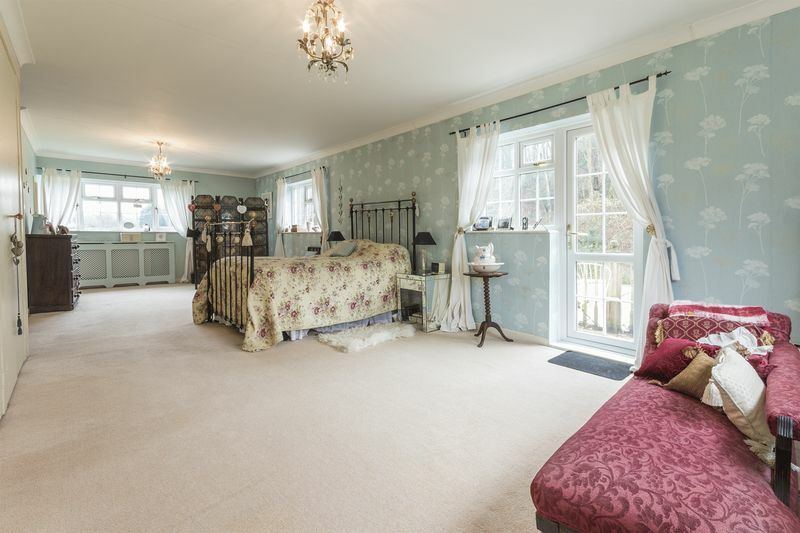 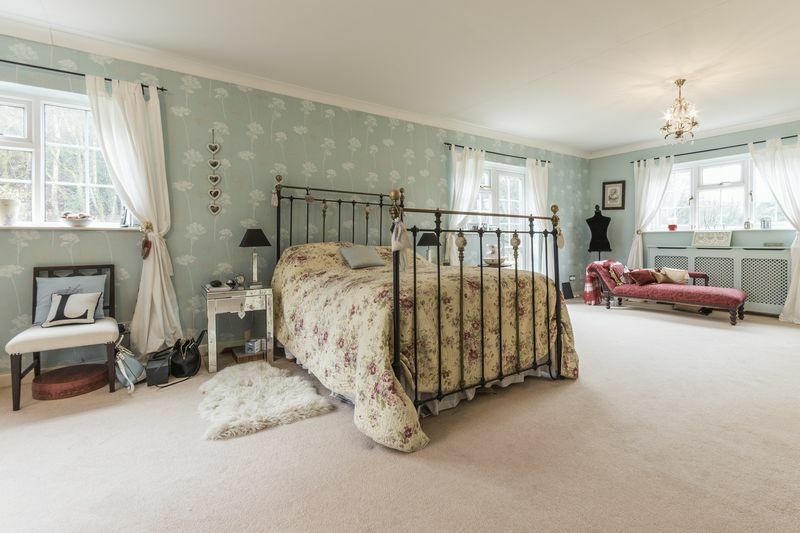 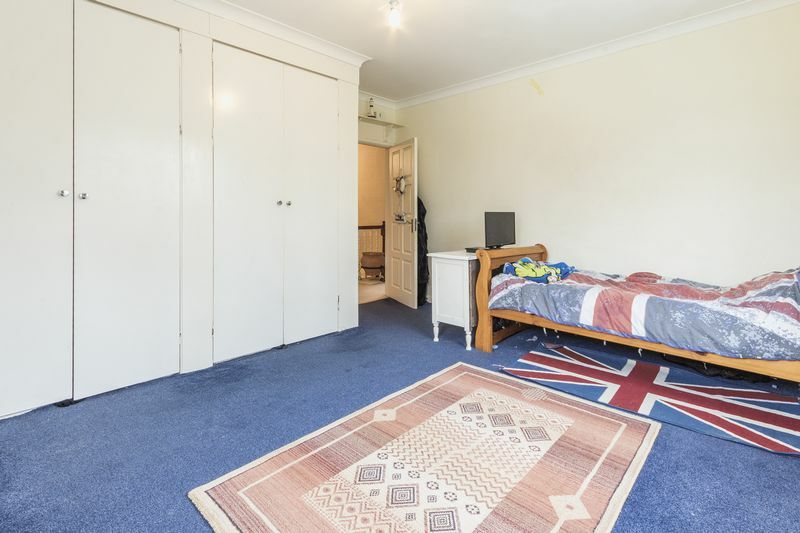 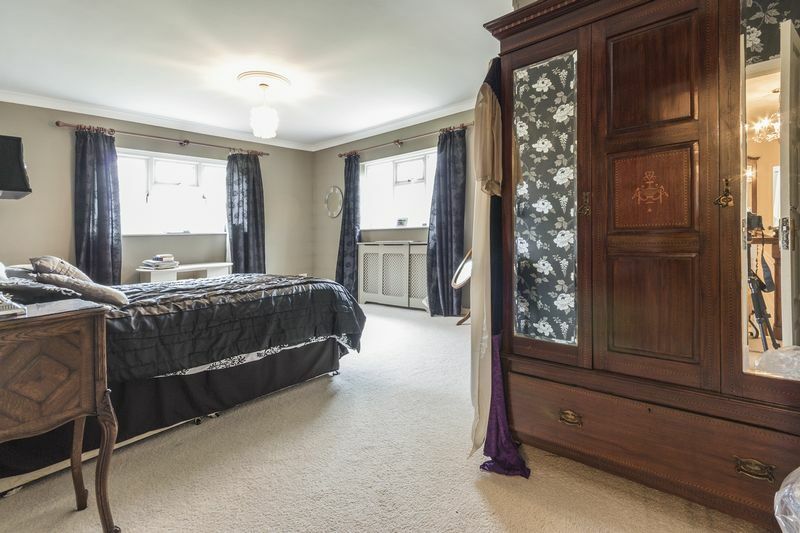 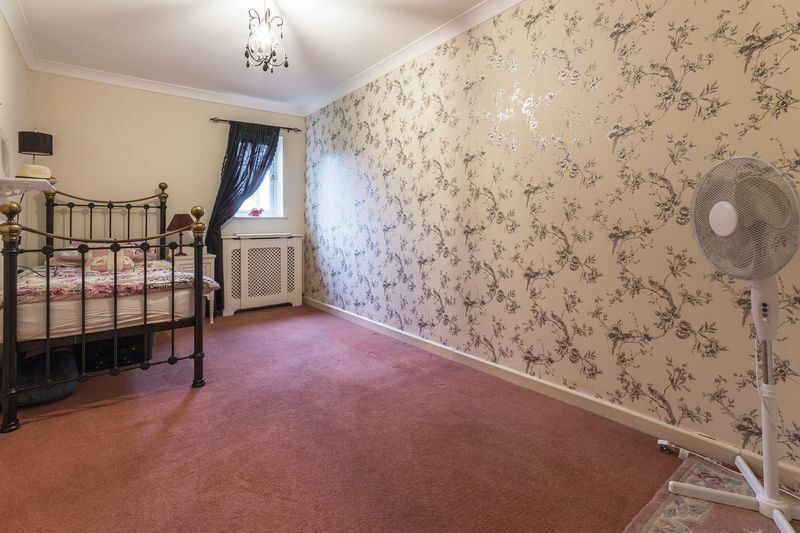 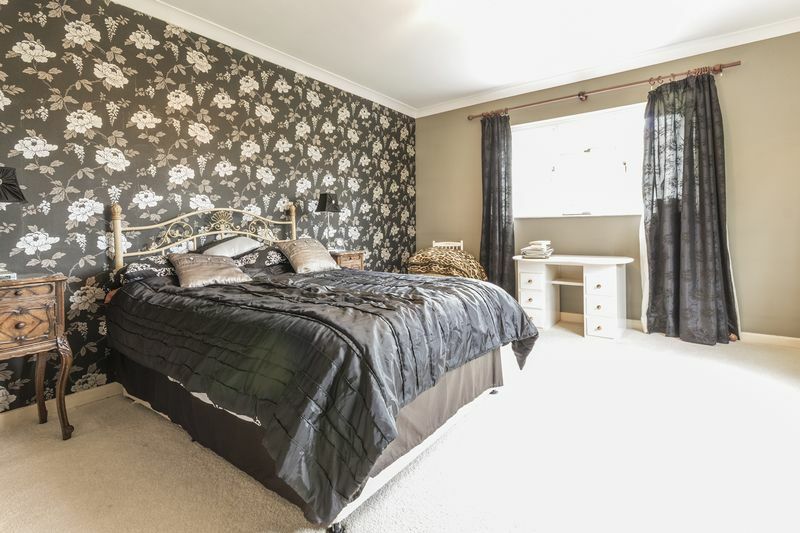 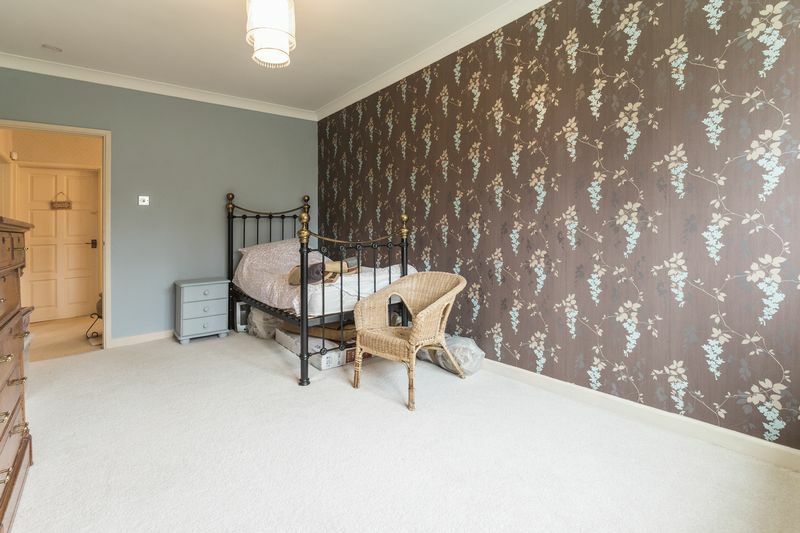 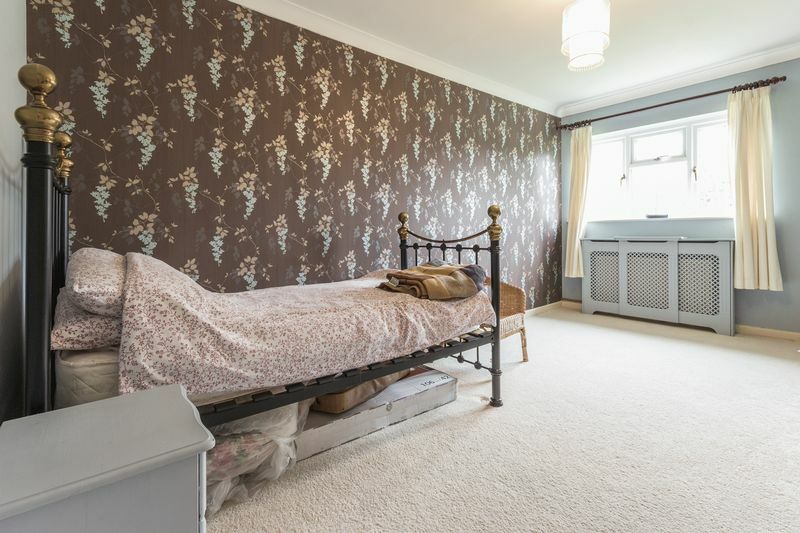 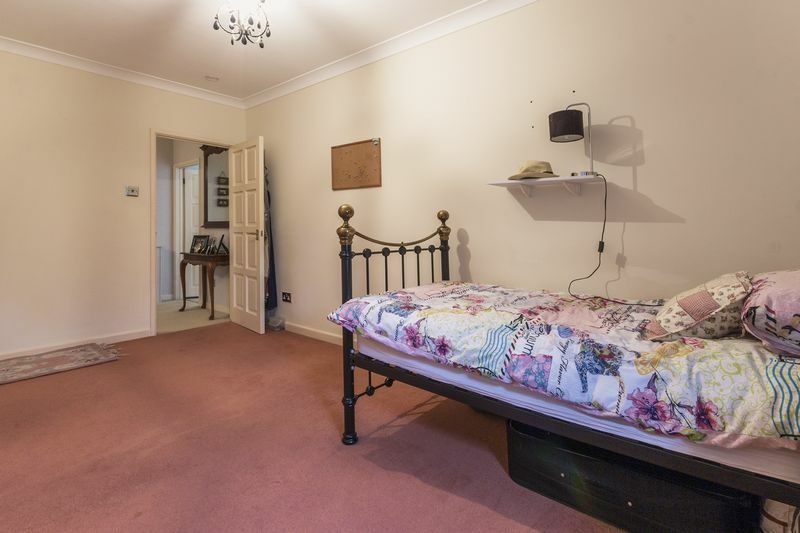 Bedroom two also has the advantage of built in wardrobes and an en suite shower room, bedroom three also has the benefit of built in storage. 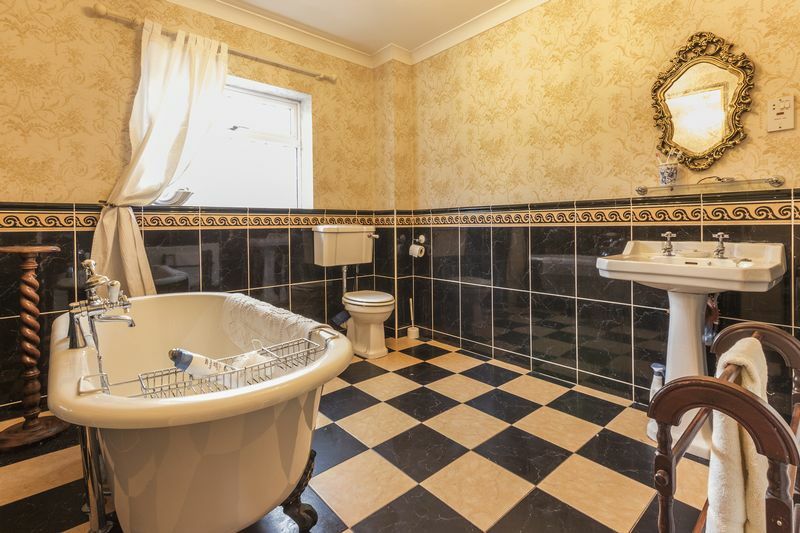 The bathroom is larger than average and has a freestanding roll top bath, W.C and hand basin and black gloss marble effect tiles. 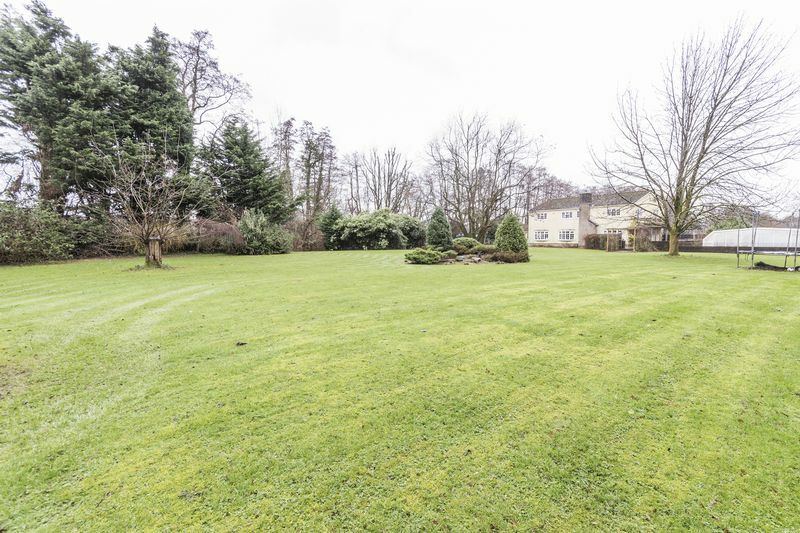 Outside the grounds wrap around the property at the rear, there is a large terraced area, ideal for entertaining and Al Fresco dining, from here there is access into the rest of the garden as well as the swimming pool. 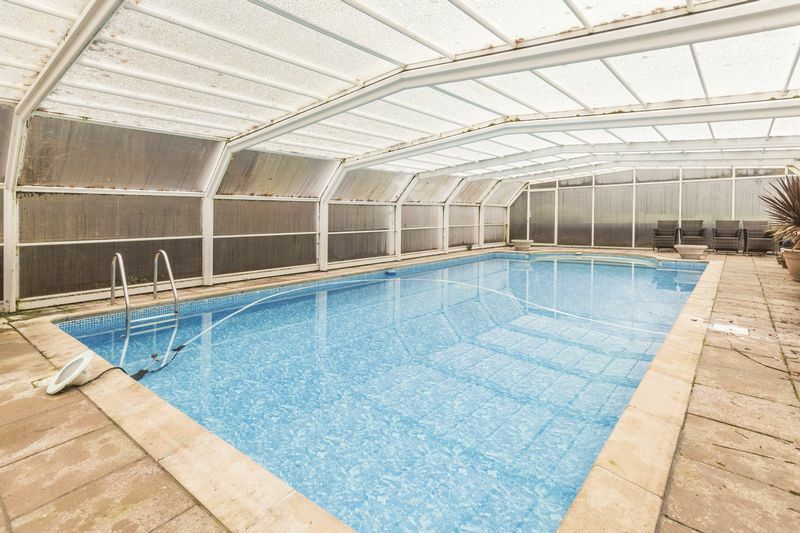 The swimming pool is heated and benefits from being enclosed so can be used all year long, there is room around the sides of the pool for a seating area as well as a hot tub. 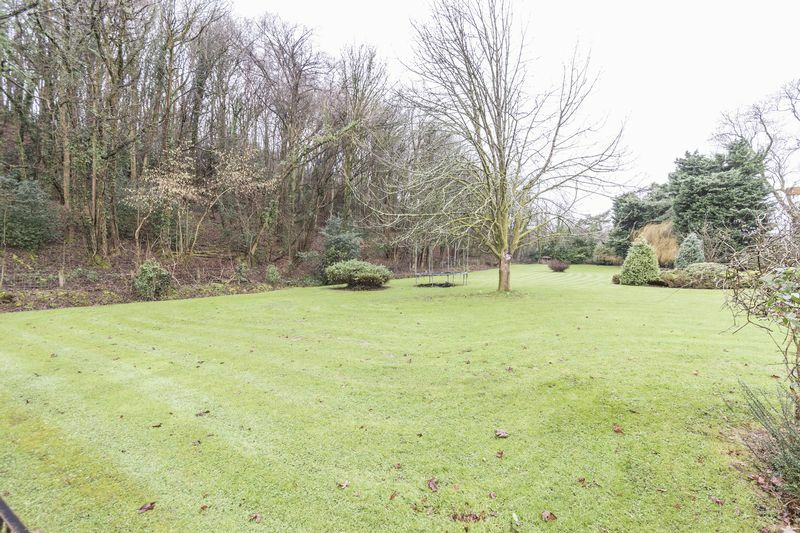 The garden also has a vegetable garden and greenhouse located to the side of the swimming pool. 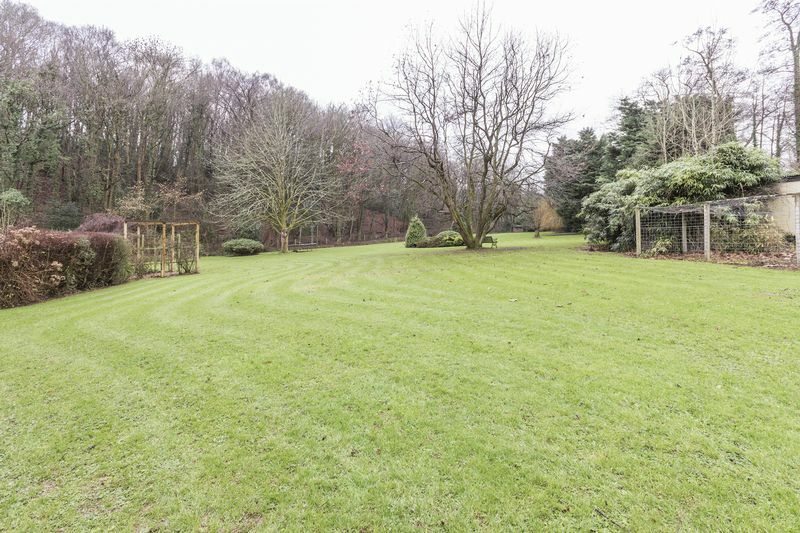 The rest of the garden is a vast lawn area with several mature trees, flower beds, screened on all sides by mature conifers which create a secluded and private garden, and a steam runs along the boundary of the land. 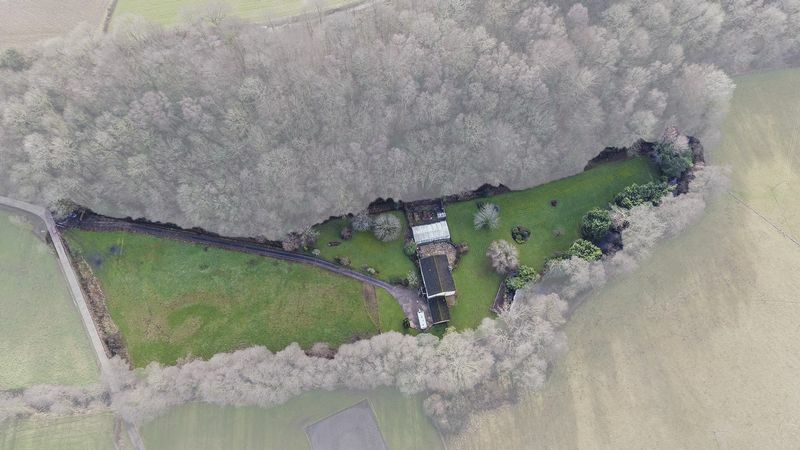 There is also a further three stables at the rear of the property, these also have electric running to it. 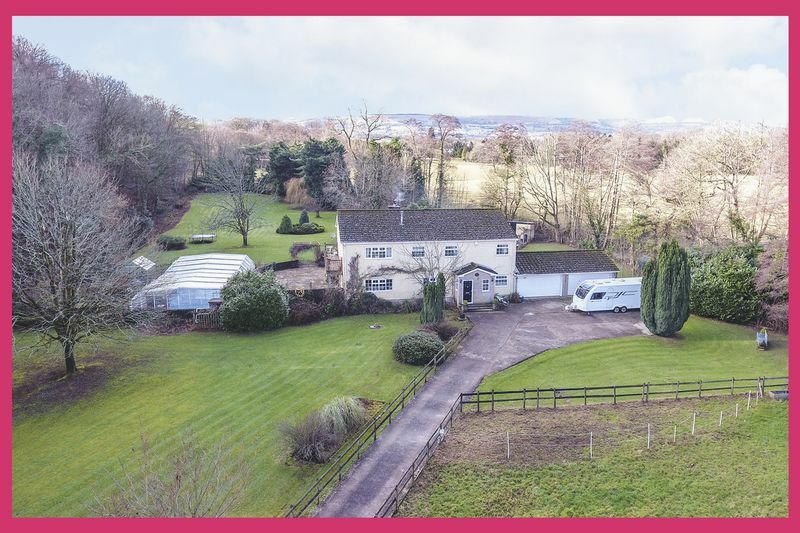 This is a unique property and won’t be available for long, don’t miss out on the opportunity to make it your new home! 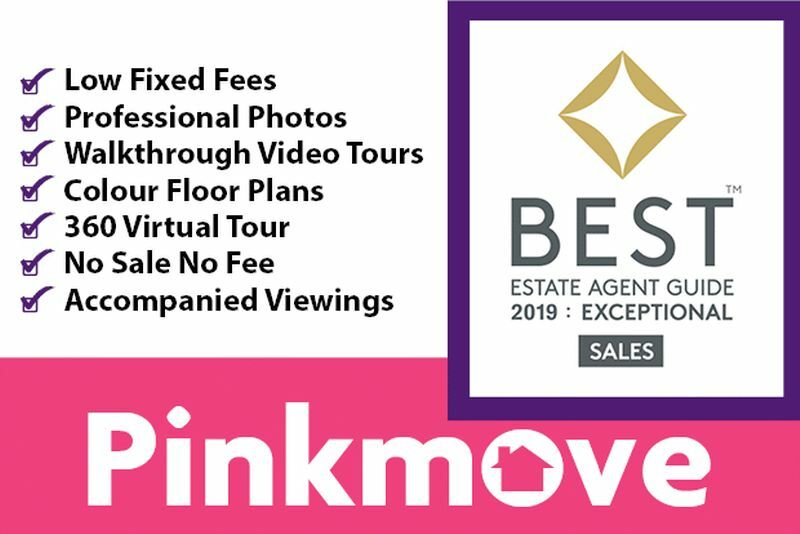 Call Pinkmove today to arrange a viewing and check out the 3D virtual scan of the property https://bit.ly/2S5mwvg. 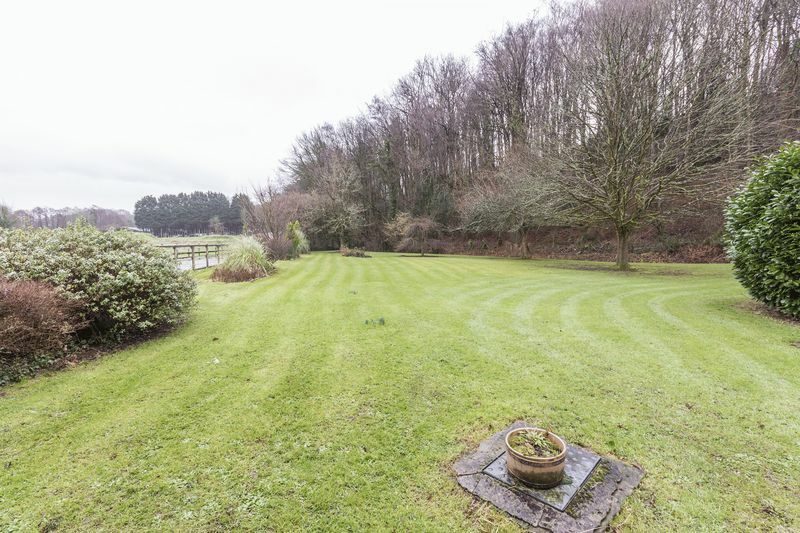 This property also benefits from equestrian facilities and lies in approx 3.8 acres of land, it has plenty of potential. 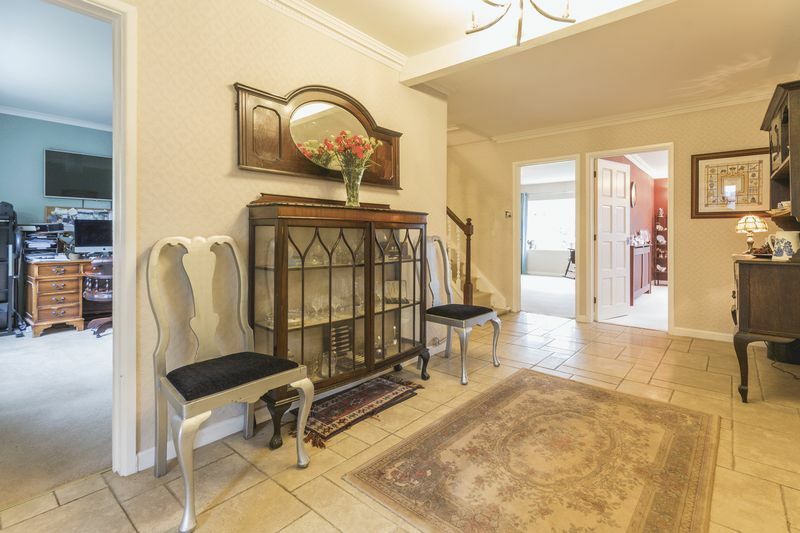 The property is reached via a long-gated driveway, bordering the drive is a paddock on the right-hand side, this paddock also has a stable, and on the left-hand side of the drive is a lawn with mature flower beds. 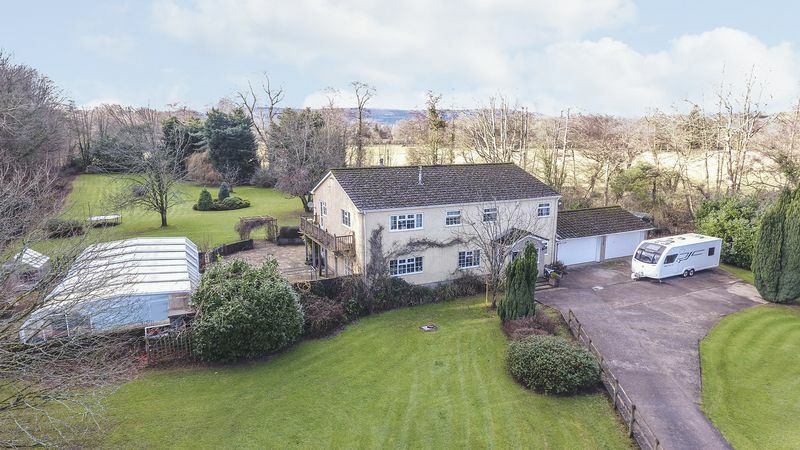 Outside the grounds wrap around the property at the rear, there is a large terraced area, ideal for entertaining and Al Fresco dining, from here there is access into the rest of the garden as well as the swimming pool. 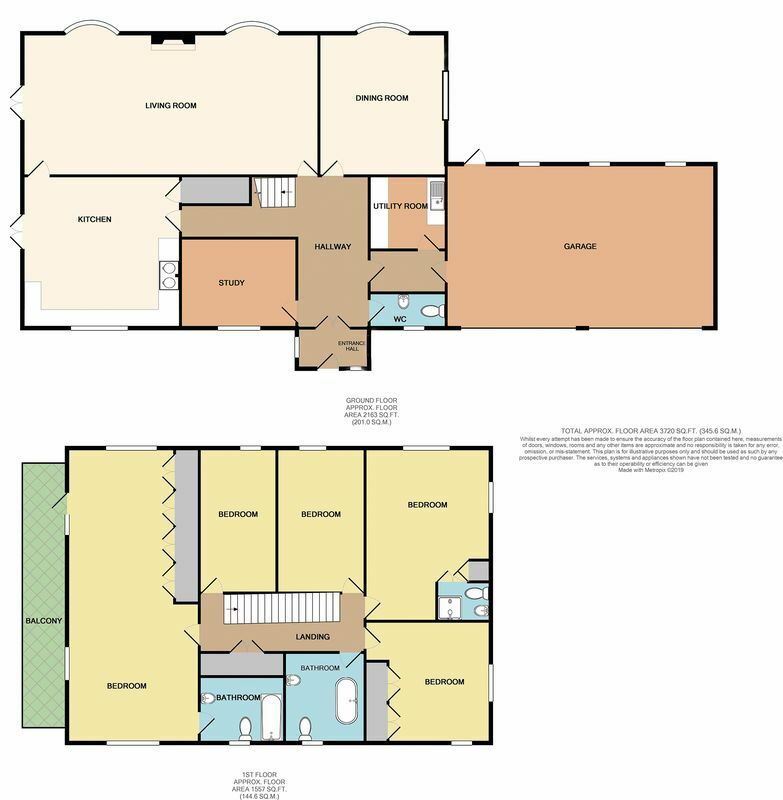 The swimming pool is heated and benefits from being enclosed so can be used all year long, there is room around the sides of the pool for a seating area as well as a hot tub. 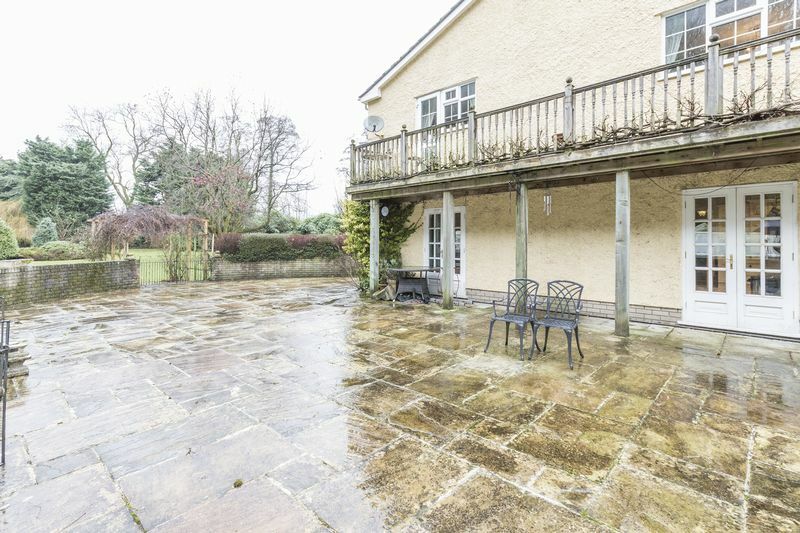 The garden also has a vegetable garden and greenhouse located to the side of the swimming pool. 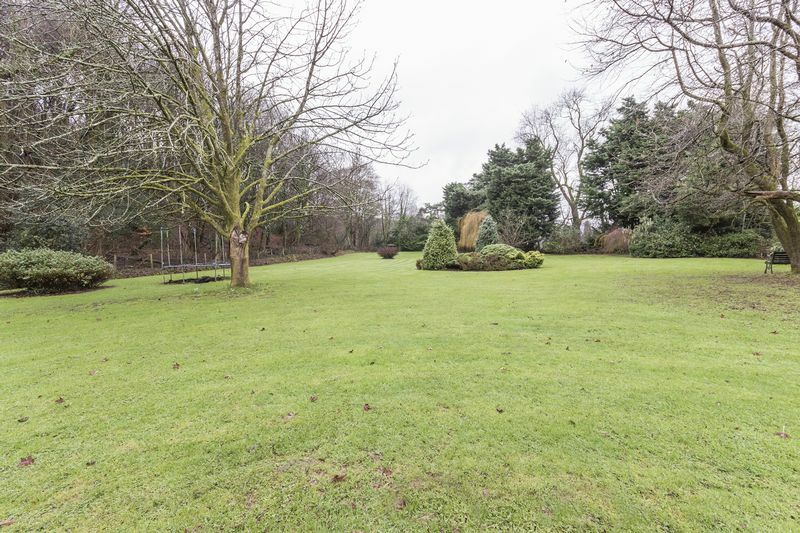 The rest of the garden is a vast lawn area with several mature trees, flower beds, screened on all sides by mature conifers which create a secluded and private garden, and a steam runs along the boundary of the land. 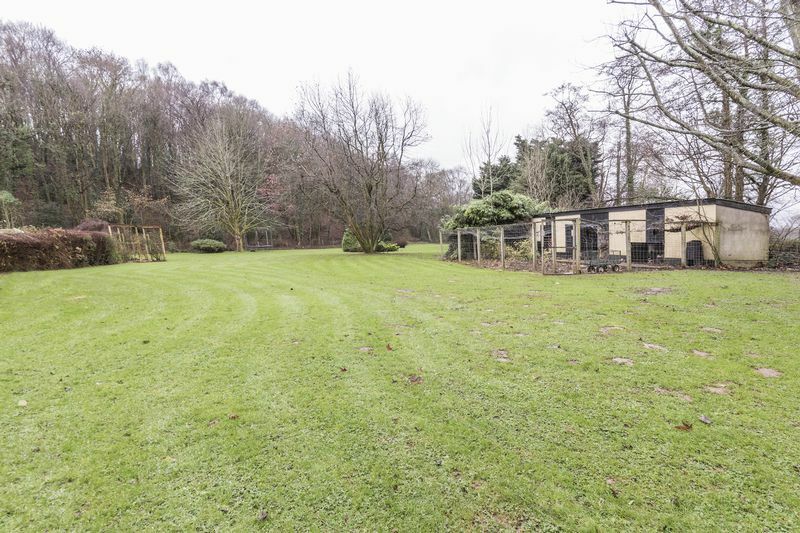 There is also a further three stables at the rear of the property, these also have electric running to it.